Warwickshire Police say they have no concerns around the fitness of their officers after it was revealed that some of them failed a basic test. They also welcomed the news that the force will not be subject to crippling cuts of 25 per cent. It was revealed last month that 17 of the force’s officers failed to pass a compulsory fitness test this year - giving the county a pass rate of 97 per cent. The test, modelled on a bleep-style run, is designed to recreate everyday activities such as foot chases. 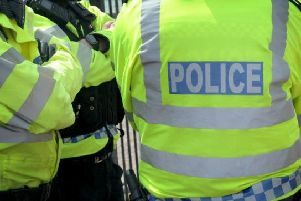 A change in roles for officers were blamed for a decline in fitness after a Freedom of Information request revealed the number who did not meet the minimum standard. But Simon Payne, chairman of Warwickshire Police Federation insisted that fitness is not a concern and that had it not been for injury and disabilities, the results would have shown 100 per cent. Speaking about the figures, he said: “I think it is something we need to admire that we have 97 per cent of officers passing this test. We should be celebrating our officers. There is categorically no issue around the level of fitness within the force. “There are many factors as to why we have that three per cent not hitting this target. One is that officers have been injured on duty and are not ready to take the test. “These officers are putting themselves forward to do this when they could opt out until they are fitter, all because of their professionalism. “We should be celebrating our officers. There is categorically no issue around the level of fitness within the force. But while welcoming the results, he said the federation is keen to see the all-rank test changed from fast-paced jogging and light weightlifting to take on board a “broader level” of fitness and abilities. Mr Payne has also welcomed news that the force will not be subject to further cuts following the Government’s Comprehensive Spending Review in November. Despite fears of a drop in 25 per cent, policing budgets were protected, with forces expected to make efficiency savings by sharing resources. Mr Payne said: “We all expected bad news but they listened and that is a great boost for morale especially given the current threats of terrorism.